What is a Phonautograph? And why should I Geek Out about it? Good questions. 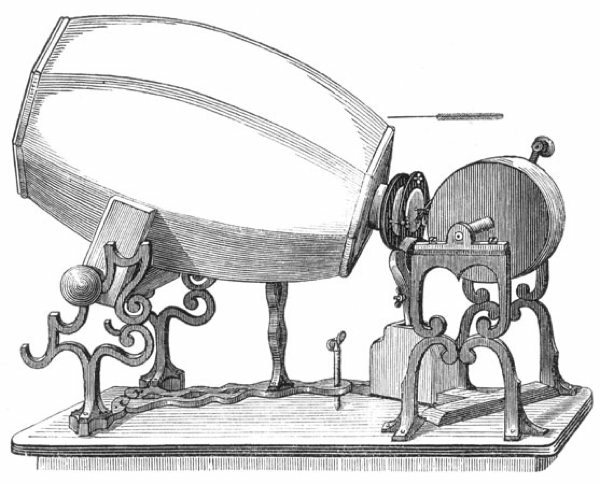 The phonautograph was the invention of Éduoard-Léon Scott, and in 1857 it was the first mechanical device to record sound. That's pretty cool. But he didn't have any way of playing the sound back. His marvelous device just made lines on paper. But if you go to Boing Boing (click here), you can hear the first sound recordings as reproduced by the Lawrence Berkeley National Laboratory from the original 1857 paper phonautographs. And you can see Scott's mechanical drawings of his phonautograph. That's something to Geek Out about.